There are times in the life of each believer when the trials become overwhelming and the whole world seems to be falling apart. Without the Lord, it would be impossible to escape, but with the Lord there can be safety and restoration, for He can be our precious hiding place until the storm is done. There, sheltered from the storm, our gracious Lord gives comfort and sweet counsel until we are able to face the tempest victoriously. “He that dwelleth in the secret place of the most High shall abide under the shadow of the Almighty. I will say of the LORD, He is my refuge and my fortress: my God; in him will I trust” (Psalm 91:1-2). 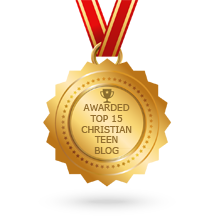 This entry was posted in A CLICK A BLESSING TODAY, CHRISTIAN NUGGETS and tagged Our Hiding Place. Bookmark the permalink.